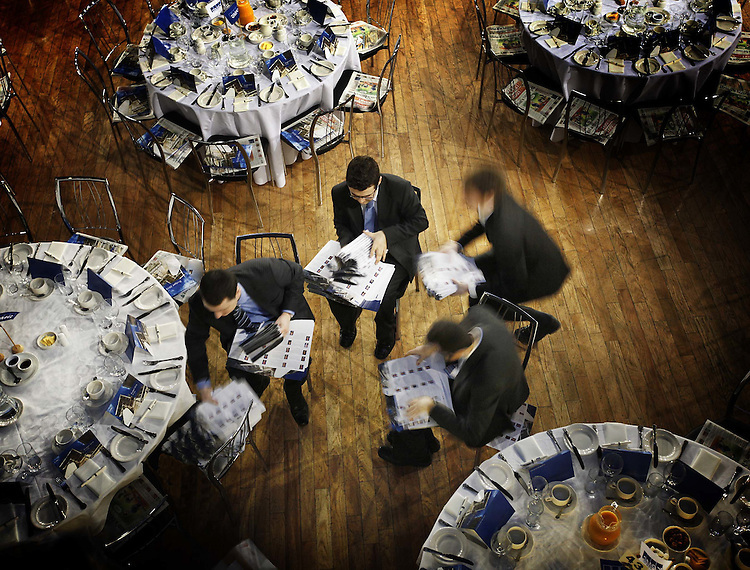 KPMG Graduates, pictured here preparing information packs for guests attending the KPMG Budget Breakfast Briefing 2010 held in the Mansion House, Dublin. Over 700 of Ireland's top business leaders gathered to be briefed on the tax implications from yesterday's Budget by KPMG tax Partners. Pic. Robbie Reynolds/CPR..